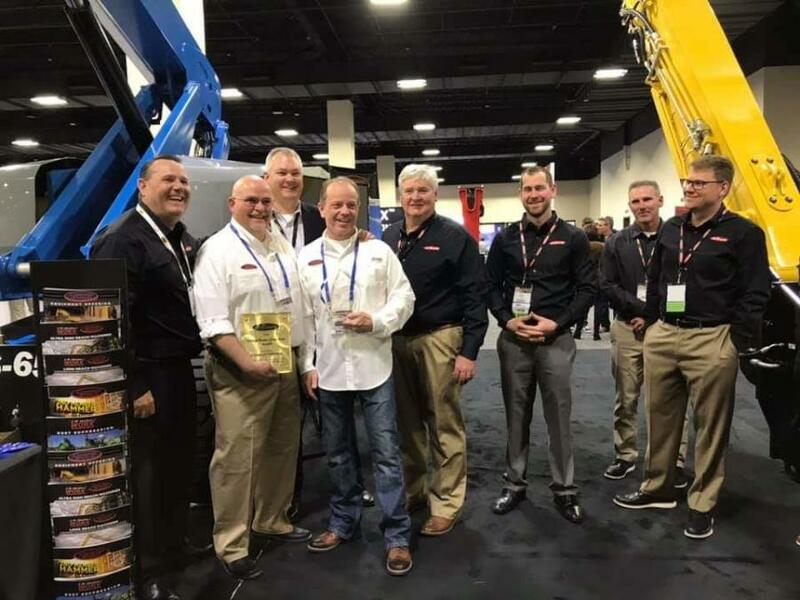 During this year's opening ceremony, Labounty presented Company Wrench with the "2018 Global Dealer of the Year" award. The National Demolition Association held its annual "Demolition in the Rockies" conference this year in Denver, Colo. This conference is heavily attended by manufacturers, dealers and end-users to celebrate achievements in the demolition industry. During this year's opening ceremony, Labounty presented Company Wrench with the "2018 Global Dealer of the Year" award. This award marks the 15th consecutive year Company Wrench was recognized as the number one dealer of Labounty products in the world. Although Company Wrench and Labounty recognize the importance of this historical milestone, both parties are confident even greater achievements lie ahead. Company Wrench wasn't the only recipient of an award from Labounty that evening. Brad Hutchinson, the owner of Company Wrench, was presented with a special award for the company's continued success with the Labounty product. Company Wrench's 15 year run as the top dealer is unparalleled by any other dealer in Labounty's 45 year history. Hutchinson accepted the award and credited the company's continued success to an open and honest relationship between the parties.